Hold on to your noses, Junkions! Brian and Cargill put their respective appendages to the grindstone and pull the romance film hat trick as they discuss 1987's Roxanne from behind the bushes. The great Steve Martin breaks his own mold as he dabbles in adapting classic French theater and bringing us his own brilliant take on Cyrano de Bergerac! The movie is witty, packed with fantastic character actors, and a great lesson on owning who you are. 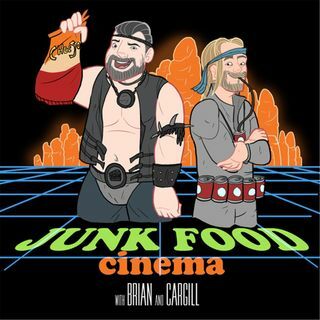 In addition to pitching woo at Roxanne, the ... See More guys also discuss Brian's inability to say certain words, obscure Indiana restaurants, and why the remake should star...Eminem?